For rural, domestic, industrial or commercial water needs. 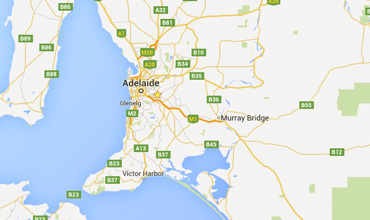 We supply some of Australia’s largest industrial and commercial companies with distilled or spring water. Each truck is equipped with up to date technology to provide our drivers with information related to your property. Hoad Water manage a variety of water projects to suit their customer needs. 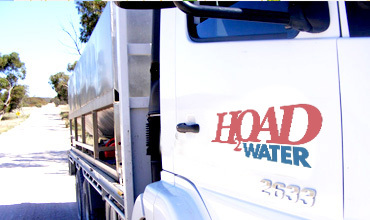 At Hoad Water we specialize in delivering all types of water for rural, domestic, industrial or commercial needs throughout Adelaide, Adelaide Hills and South Australia’s remote areas. We have a large fleet of trucks with computers on board, tracking order systems and determining the quickest route to your delivery address, so that we provide that exceptional customer service. Our trucks have the capacity of delivering 9000 litres up to 32,000 litres in one delivery. Our drivers are trained to a high standard and provide a professional and safe service with full compliance to regulatory authorities. Not only do we source our own water but we can deliver the following water products: Spring, Mains, Potable and Distilled Water. in the Water industry we are able to provide water for extremely specialized projects and once-off jobs. Water is a liquid found on Earth which is known as H20 and that has no odour. Other than air we breathe, water is the most important part of our survival requirements. Without water we can only survive a very short period of time. The quality of the water we drink plays a fundamental role in our well-being. Do you know that 70 percent of the earth is made up of water? Huge bodies of water can absorb and store large amounts of heat coming from the sun especially during daytime and the summer season. Seventy-five percent of the human body is made up of water and 90 percent of human blood is water. The evaporation of water from a water surface, as an open tank, a swimming pool or similar, depends the temperature in the water and the temperature in the air, the actual humidity of the air and the velocity of the air above the surface. Offer excellent customer service by meeting our customer’s wants and needs in water delivery.